Makeup is one of the most controversial concepts in modern feminism. 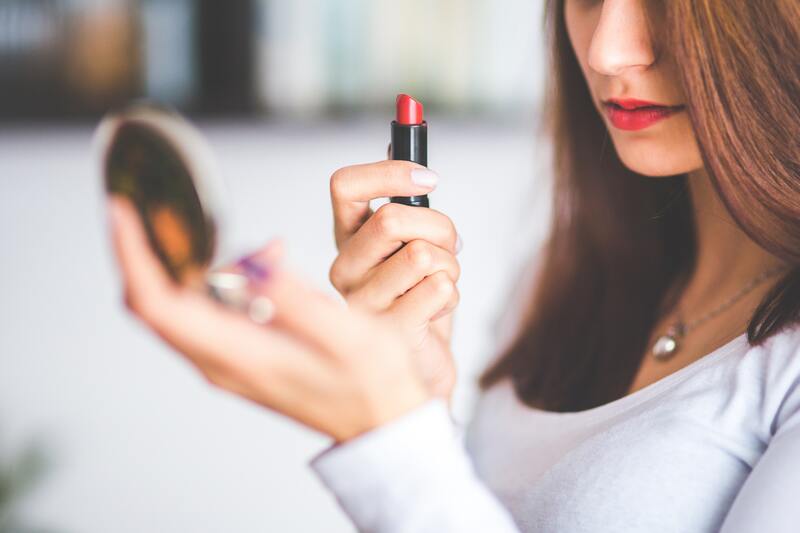 Cosmetics themselves have been used for thousands of years – the Old Testament recounts Jezebel (a wife of a king of Israel), wearing a version of eyeshadow as early as approximately 840 BC. The ancient Greeks, Romans, and Egyptians also incorporated colours and lotions into their rituals and routines. Over the centuries, the reputation of makeup has evolved almost as quickly as the products themselves. Originally, makeup was the marker of a prostitute. The Middle Ages saw women trying to make their skin paler to appear wealthier. It’s gone in and out of fashion so many times that it is nearly impossible to identify what makeup is or what it stands for. But still, whether it is good or bad, feminist or un-feminist, makeup remains an ever popular topic for debate in feminist discourse. I am often made uncomfortable by men saying I look better without makeup. It’s a compliment, or meant to be, and I have long struggled with pinpointing where my irritation comes from. I know that their intent is pure (at least from their perspective), and that when they tell women they don’t need makeup, they are trying to encourage us to embrace our ‘inner beauty’, or something along those lines. But I already know that who I am without makeup is worth just as much as me in mascara. I know my value, and I also know it has nothing to do with what I wear on my face. 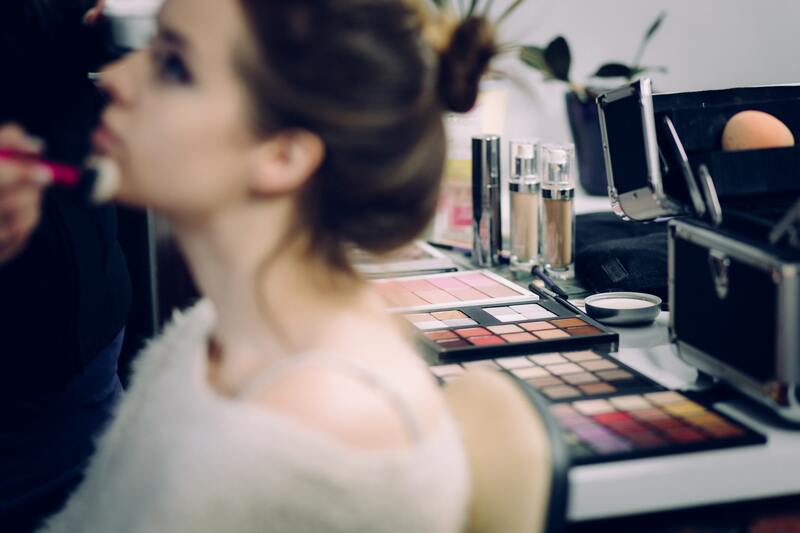 Makeup is marketed at all ages of women, from pre-teens to sixty-somethings. In my younger years, before I developed into an adult woman, I certainly wore makeup because I felt like I was not enough. I also followed ridiculous ‘cool girl’ fashion trends, like chokers and wrist bands so that I could fit in with the crowd I wanted to be a part of. But I didn’t stay twelve years old. As I grew up, I learned to ignore the trends I did not like; I don’t wear chokers now, but I still adore bracelets. As I became an adult, I learned about concepts like Feminism and the way society likes to manipulate women into thinking they aren’t good enough. I learned and overcame those influences. But I still wear makeup. Among adult women, makeup has become something akin to art. The makeup is quite literally paint and our faces are our canvases. Nearly every woman I have spoken to has regarded it as such, and when discussing their technique or favourite styles, the focus is on the artistry, not on the improvements makeup can make to natural beauty. Makeup is a form of self-expression, much like fashion, or even writing and poetry. When I write, it is not some kind of front to protect the real me from the world, or to pretend to be someone I am not. Rather, it is an amplification of who I am. It is how I show the world who I am. Makeup is just the same. It is a choice I make every day because it is something that reflects my personality and it makes me happy to show that. When men tell me that I am prettier without makeup, it stings almost like a rejection of my art. And I know he means well, which makes me all the more frustrated. He sees ‘you don’t need makeup’ as helpful and confidence boosting. I not only see it as an insult to my work, but as an assumption that I need confidence boosting. I am frustrated because he is projecting onto me an insecurity I felt when I was twelve. It feels like he is not acknowledging that I grew up, that I worked hard to be a strong and confident woman, and that I wear makeup even though I know I don’t need it. Makeup is certainly marketed in a way to make women feel badly about who they are. But it is children who fall for these schemes. Adults (most of them) are not susceptible in the same way as children are, and assuming that women are in the same victimised, powerless position is patronising and unfair. It is interesting to consider what other ways this perception of female weakness interacts with cosmetics. Makeup, though it is used primarily by women, can be (and has been throughout history) used by anyone. Yet men who wear makeup are perceived as weak. Why? Because by using makeup, they become closer to women. But it is not the makeup itself that is tied to weakness, it is womanhood in general. Makeup doesn’t make women weak, quite the opposite. Womanhood being associated with makeup is what makes it weak. For a long time, feminists rejected femininity, but the fourth wave has become more receptive to the idea that femininity can be reclaimed. The task now is to embrace makeup (and pink and glitter and anything else ‘womanly’ and weak), and make it synonymous with strong instead of weak. Makeup is art, and art can be anything. It can be feminist or not feminist, but it is not inherently anti-feminist just because it is a tool for women to change themselves. If men really wanted to help women’s confidence and attack makeup, they would turn their heads to cosmetic companies (many of which are run by men). These corporations use advertisements that are not only often terribly un-feminist, but encourage the insecurity women fight so hard to overcome. Perhaps if they learned to focus on the art, fewer young women would feel that pressure to be what they are not. Attack the oppressor, not the subject of the attempted reclamation. And certainly not the women doing the reclaiming. Very interesting Izzy. I think a similar, compelling analysis of clothing could be written. As someone who lacks the skill of make up application I am always in awe of those who have it. I’ve used it to hide imperfections and I wonder why. From an economical standpoint, it makes me mad that women are expected to pay for products that men aren’t expected to use BUT hopefully we’re moving towards a future where there is less stigma around men wearing makeup. Great article!!! ← Exclusive Review: Broken Shakers @ Madison Rooftop Bar.